Registration fees can be found here. When you register you are already raising money for the animals. If you join a Best Friends Network partner team, your registration fee goes directly to that organization. If you register to raise money on behalf of Best Friends, your registration fee goes directly to Best Friends. When you register to raise money for a network partner, your registration fee can be used as a tax deduction for 2018 income tax purposes. And all donations made by individuals to participating organizations are also tax-deductible. However, when you register to raise money for Best Friends, the money you raise is still tax-deductible, but your registration fee is not because it is used to help host Strut Your Mutt and make it the fun event that it is! If you participated by donating to one of the network partner organizations, tax receipts will be provided directly from that network partner organization. Tax receipts will be provided by Best Friends Animal Society if you participated by donating to a friends and family team or company team. Simply select the event you want to register for and click "Register". Please be aware that you cannot register for Strut Your Mutt through the mail, but you can register online or in person on the day of the event. Register in advance to take advantage of the lower online registration fee. It's more fun to strut with a team — plus there are bragging rights! Create or join a team for a chance to win one of the top fundraising awards. Recruit friends, family, neighbors, coworkers, clients, pet sitters, your vet, your groomer and anyone else you can think of who might want to participate. You might find that Strut Your Mutt is the perfect way to get a conversation started about the great work being done to save the lives of homeless pets in your community and across the country. Your team must have five or more paid registrants in order to be eligible to win top team fundraising awards at a live event. There is no maximum number of participants on a team. Please note that you cannot raise money for an animal welfare group that has not signed up to participate as a network partner. All animal welfare groups wishing to raise money through Strut Your Mutt must be approved Best Friends Network partners. Interested partners should submit an application to participate. Network partners must register by August 24 to be eligible to participate. I registered incorrectly. How do I change my registration? Please visit our Contact Us page and fill out the form. In the field that asks what you have a question about, click "Registration". In the "tell us more" box, describe what you would like to do, and one of our support team members will help you with your needs. You may also use the chat feature to change your registration. I have not preregistered for the event. Can I still register and attend on event day? Yes, you may register on the day of the event. Just go to the on-site registration tent when you arrive. Registration on the morning of the event costs an additional $5. Note: If you wait to register on the morning of the event, you will not have the option to join a Best Friends network partner team. So if you want to support a particular network partner, you must register and join that team online prior to the close of registration at noon on the day before the event. What is the refund policy for registration fees and donations? For Strut Your Mutt Day 2018, refunds for donations will be permitted through Saturday, October 27, 2018 (no refunds after that date). Requests for donation refunds received after applicable deadlines cannot be honored due to the effect such requests have on our fundraising contests. Participation fees will be refunded through Saturday, October 27, 2018. Any refund request must be made directly by the registrant or donor and sent to events@bestfriends.org. Refund requests must be received no later than 5 p.m. Mountain time on the deadline day, outlined above. Registration fee refunds will be honored through the close of registration for each city, which is 12 noon the day prior to each event. How does a company match a donation? A company match is an easy and effective way to increase your fundraising. Ask your own employer if they match charitable donations and ask your supporters to contact their employers for the correct paperwork. If you are raising money for a network partner organization, please ensure that you fill out a matching gift form with the organization's name and information and follow the company's directions for submitting the form. If you have any questions, please contact the organization you are supporting. If you are raising funds for Best Friends, please ensure that you fill out a matching gift form with Best Friends’ information and follow the company's directions for submitting the form. If you have any questions about matching gifts that support of Best Friends, please email workplacegiving@bestfriends.org. What is the fundraising deadline for individuals or teams to be eligible for prizes and awards? Online donations count toward top fundraising awards up to the close of registration, which is noon, the day before the event. Offline donations (in accordance with the offline donation official rules and regulations) must be submitted no later than 5 p.m., Mountain time, one week before the event date. Print an offline donation form and follow the process on the form to submit it to Best Friends. Don’t live near an event city? Strut Your Mutt Day, on October 27, allows you to help homeless pets by raising funds online. It’s great way to participate in the event, no matter where you live. Online donations will count through 11:59 p.m. Mountain time, Wednesday, October 31, 2018. For participant offline donations to count toward the top fundraising awards and grand prize, all offline donation forms and copies of the checks must be received by Best Friends no later than 5 p.m. Mountain time, Friday, October 26, 2018, in accordance with the official rules and regulations. Print an offline donation form and follow the process on the form to submit it to Best Friends. NOTE: All decisions of Best Friends Animal Society regarding incentive and award winners are final. Best Friends uses donations to help tens of thousands of animals, both at the Sanctuary and through outreach programs across the country. If you are raising funds for a network partner team, the money goes to support that group’s own lifesaving programs. I would like to make a donation to a particular person or team. How do I do that? The best way to ensure that your donation gets to the appropriate person or team is to ask for a link to their personal or team fundraising page. You can also select the appropriate event, click on “donate” and search for the name of the person or team. You can then select the name of the individual or team to get to that fundraising page to make your donation. If someone makes a $15 donation, can that person participate in the event? If people donate $15 or more to your fundraising page (without registering), they are considered donors, not an event participant. Individual participants in the event must register and pay the registration fee. I made a donation to the wrong person or team. What do I do? Please visit our contact us page and fill out the form. In the field that asks what you have a question about, click “fundraising or donations.” In the “tell us more” box, describe what you would like to do and one of our support team members will help you. Please note: The change request must come directly from the person making the donation. We cannot move donations at the request of another person. You may also use the chat feature to seek help. What does a typical Strut Your Mutt look like? The Strut Your Mutt live event is full of fun for everyone. The day starts with you and your dog joining a celebratory walk, the length of which varies from city to city. Each city typically offers two options — a short walk of about one mile, or a longer walk of about two miles. There are fun activities for the entire family, including lots of exciting pet-centric activities for you and your dog. These activities are up and running you return from the walk. On-site food trucks offer a wide variety of foods, including vegetarian and vegan options for human participants. You may also bring food and beverages (excluding alcohol) for your family and pets. Event sponsors and vendors who typically give away coupons and samples and hold drawings for prizes will be there. Be sure to stop at their booths! There will also be music, contests and other entertainment. Parking is typically free for participants, but availability of free parking may vary by city. For the most current information about event-day activities, sponsors, vendors and parking, please select your event city. If you registered online before the event, you will receive a know-before-you-go email to give you an idea of what to expect at the event. When you arrive, go to the preregistered check-in area pick up your free T-shirt (while supplies last) and start enjoying all the activities! If you did not preregister online, check in at the on-site registration tent. If you plan to register on-site, we strongly recommend that you check the schedule of events in your city and arrive early to avoid the long lines. Please note: If you want your registration fee to support a network partner organization, you must preregister online by noon the day before the event. If you are registered as a member of a friends and family or company team, we suggest you and your team captain plan to meet at a specific place. If you are a member of a network partner team, look for your team captain who will be holding an orange sign with the organization's name on it. If you don’t see your team captain, try looking for them near the starting line during the fundraising awards. Live events: Registered participants must pick up T-shirts at the live event. We make every effort to provide the shirt sizes requested during the online registration process; however, sizes cannot be guaranteed and quantities are limited. T-shirts will be mailed to online Strut Your Mutt Day participants. Strut Your Mutt is held rain or shine so, please dress (both you and your pet) accordingly. Remember, registration fees are nonrefundable, even in the case of rain. T-shirts must still be picked up in person on event day. Do I have to participate in the walk, or can I just go and join the festivities and visit the vendors? You are welcome to skip the walk and just enjoy the festival, but remember, you must register. What payment methods are available for food and merchandise at the Strut Your Mutt event? 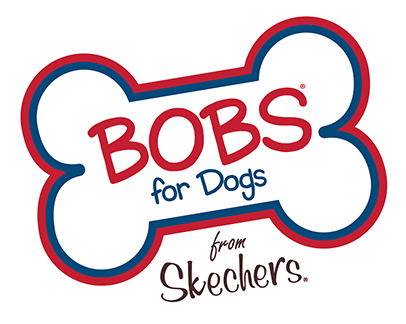 Best Friends will accept cash, checks, and debit or credit cards for Strut Your Mutt purchases. Please note: Food trucks and other vendors may require cash. Because many dogs and children are at Strut Your Mutt events, which are held outdoors, we do not allow cats. This is to avoid any stressful situations for cat-reactive dogs or for cats in general. Please contact events@bestfriends.org if you have questions about bringing other companion animals (pigs, goats, etc.) to the event. No. You do not have to bring a dog to enjoy the festival. If you do not have a dog with you, you can walk alongside your fellow animal lovers (which gives you two free hands to pet the many adorable pooches out there). You can also offer to walk with a dog from a shelter or participating animal welfare group, or consider volunteering at the event. What do I need to know about bringing my dog to the event? Participants are limited to bringing no more than two dogs. (We are very strict about this.) Because there are tons of kids and other animals there, we don’t want anyone there with more dogs than they can handle (which increases the possibility of a dog breaking free). Dogs must be at least four months old and up-to-date on all vaccinations. To help ensure the safety of the pets and people, all dogs must be kept on a maximum six-foot, nonretractable leash. Some dogs don’t behave well with other dogs or in crowds, so we also ask that everyone keep their dogs close. Unaltered dogs are welcome unless they are in heat. Best Friends encourages you to have your dogs spayed or neutered because it not only helps reduce the number of pets entering shelters, but it also can help your pet live a longer, healthier life. A large portion of funds raised at Strut Your Mutt support our network partners’ spay/neuter programs. Poop bags will be available at several locations, but you are also encouraged to bring your own. We encourage all participants to be courteous and clean up after their pets. Water bowls and troughs will be placed throughout the walking route and festival area, and we will make every effort to keep them filled during the event. We want you and your pet to enjoy this fun event — and that means keeping you both as safe as possible! We will have a veterinarian and an EMT present on event day. Can I adopt a dog at the event? Since the event itself is focused on fundraising and awareness, we do not promote it as an adoption event; however, we encourage participating shelters and rescue groups to bring adoptable dogs. To help adoptable dogs stand out, it’s helpful if they are wearing brightly colored bandanas, vests or shirts that say, “Adopt me” or “I’m looking for a home to call my own.” In most cities, we also hold a "partner row" to help you connect with local shelters and rescue groups and learn about adoption opportunities. Absolutely! Strut Your Mutt is made possible by the help of volunteers. Learn more about how you can get involved. Click on "forgot password" on the participant log-in page. You will then be prompted to enter your username and email address, and password reset instructions will be sent to the email address provided. How to I edit my Profile (including changing my password)? Log in to your participant center. Click on "profile" located at the top right of the page. From there you can edit your profile to change your personal contact information, change or reset your password, or change your email preferences. How do I edit my personal or team fundraising page? Log in to your participant center (using your email address and password). On the right side of the page, click "edit personal page". (Note: If you are already logged into your participant center, click on "personal page" and follow these same steps. From there, you can make changes to your fundraising goal, copy and imageson your page. You can click "preview" to make sure you're happy with how your page looks. And don't forget to click "save" when you are done. Click on the team page tab. From there, you can edit your team's fundraising goal and your team page's copy and images. You can click "preview" to make sure you're happy with how your page looks. And don't forget to click "save" when you are done. How many dogs can I bring to the event? There is a limit of two dogs per paid registrant. For health and safety reasons, all dogs must be at least four months old. Do I need to leash my dog? Yes. All dogs must be on a leash with a maximum length of six feet (no retractable leashes, please). Strollers and wagons are also welcome (for both humans and dogs). Please make sure your dog is leashed and securely attached to you if you are using a stroller, wagon or carrier. Does my dog need to wear a specific collar? For safety reasons, we do not allow dogs wearing pinch collars, choke collars or retractable leads to attend the event. Regular collars or martingale collars are OK. Sometimes my dog doesn't like being around crowds. Can I still bring him or her? Please use good judgement with your dog. Dogs who may be dangerous to other animals or people, or dogs too frightened around crowds should not attend. Event officials reserve the right to refuse entry to any animal and may (if necessary) ask a participant to leave. Yes. Please be sure your dog's vaccinations are up to date, and your dog wears current identification and rabies tags. Can I bring a dog that hasn’t been spayed or neutered? Best Friends encourages all participants to have their dogs spayed or neutered. Spaying and neutering helps reduce the number of pets entering shelters, and it can help your pet live a longer, healthier life! Dogs in heat are not allowed at the event. My dog has never walked with that many distractions before. What can I do to prepare? To help your dog become familiar with walking on a leash around a lot of distractions, you may want to practice walking with your dog on trails or in parks or other locations where people walk their pets. Can I ride my bike or rollerblade at the event? For the safety of fellow strutters and dogs, items such as bikes, scooters, rollerblades and skateboards are not permitted. What if my dog is hurt at the event? A veterinarian and EMT will be on hand to help dogs and people with cases of injury or emergency. But to help keep your pet (and yourself) safe, be sure to drink plenty of water at the start and finish (There will be some water stations at the event). Pay close attention to your dog’s energy and stress levels, and make sure your dog isn’t getting too tired. Also, before and after the walk, inspect your dog’s pads for any signs of cuts or wear.